ELIZABETH DUFF, of Drexel Hill, PA died on Sun. June 24, 2012 at the age of 62. 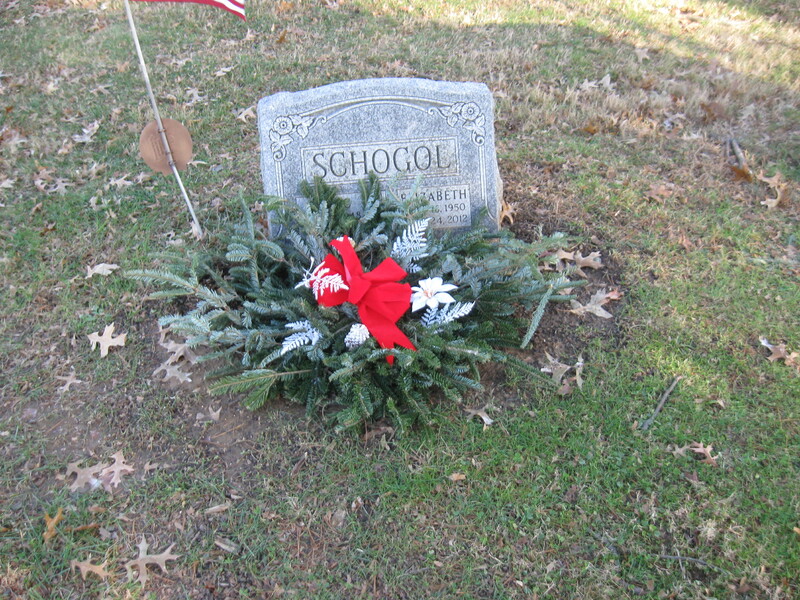 Wife of the late Marc J. Schogol and devoted mother of Jeffrey Duff Schogol, Katharine Blake Schogol Pidot and Carolyn Elizabeth Schogol; also survived by her granddaughter Claire Heatherington Pidot; father, John W. Duff; and sisters, Mary Duff, Marty Menges and Laura Kessler. Her Memorial Service will be held on Sat. June 30th, 11 A.M. in the Sanctuary of Bryn Mawr Presbyterian Church, 625 Montgomery Ave., Bryn Mawr, PA.